Northeast India is an upcoming destination for domestic and foreign travelers. With improved infrastructure and better connectivity, this is a popular destination in India right now. Each of the 8 states in this region has its own charm and beauty attached to it. There is wildlife, adventure, eco-tourism, ethnic tourism, and cuisine to explore here. There are 8 states in northeast India namely Sikkim, Arunachal Pradesh, Assam, Meghalaya, Nagaland, Manipur, Tripura, and Mizoram. We shall cover Sikkim in Part 1 of Talk Travel App’s northeast of India travel guides. Visiting any of the northeastern states requires some sort of permit issued by the Government of India. Get a permit beforehand as you do not want to waste time procuring the permission to enter. Both domestic and foreign visitors need different kinds of a permit to visit northeast India. Read this blog to get all the information regarding permits to visit these states. While all the states in northeast India are nestled together in the far east, Sikkim is closer to mainland India. It is not possible to reach Gangtok, the capital of Sikkim directly by flight. The nearest airport is the Bagdogra Airport in West Bengal. This airport is 126 km away and takes 4 hours by bus or jeep to reach Gangtok. There are direct flights from New Delhi, Mumbai, Kolkata and other major cities to Bagdogra Airport. How to reach Gangtok from Bagdogra Airport? * The prices mentioned are valid as of August 2018. New Jalpaiguri Station is just 2 km from Bagdogra Airport in Siliguri. Deorali is a taxi stand 2 km outside Gangtok. Taking a taxi/ an auto from Deorali to Gangtok will cost you 150 INR (2 -3 USD). Read this travel guide for more information about the helicopter service. 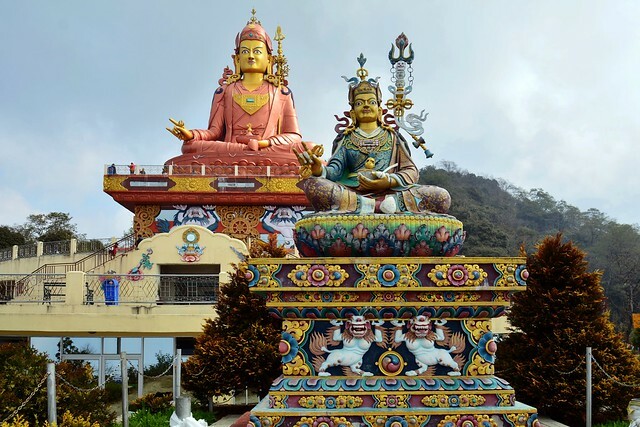 The snow-capped Himalayas, green-carpeted hillocks, pristine lakes, numerous waterfalls, river valleys and monasteries chanting Buddhist hymns is what awaits you when you visit Sikkim. Always carry warm clothing even during summer as the temperatures drop in the night. The first thing that you will notice here are the buildings precariously perched on the edge of the hills. If you find a good hotel with a view, you can see the mightly Kanchenjunga peak in all its glory. The peak of this mountain has an orange glow as the first rays of the sun grace this mountain every morning. Explore the streets of Gangtok on foot or a rickshaw. Indulge in Tibetan, Sikkimese and Nepalese cuisine when you are here. Try the noodle soups like Thupka and Thenthuk. Do not miss out hot steaming momos which are easily available here. Catch up on a book with some fresh and hot tea at Cafe Fiction or look at the bustling streets in the comfortable Baker’s cafe. There are a lot of monasteries around Gangtok like the famous Rumtek Monastery, Enchey Monastery, Lingdum Monastery, and Gonjang Monastery. These Buddhist temples are colorful, you can hear the monks chanting prayers and you can see how life goes by for these monks as they live, study and continue to work in this monastery. Ride in the cable car which costs 110 INR (2 USD) for gorgeous views of Gangtok at the top of the hill. Go river rafting in the Teesta river, paraglide at Baliman Dara or Reshithang village or mountain biking in the rugged region that surrounds Gangtok. Scenic locations to explore are distributed all through the state. Here is a list of places to visit from the northernmost part of the state to the south. At an altitude of 17,800 ft, this is a must visit in Sikkim. This is at the northernmost point of Sikkim and it is very close to the Chinese border. My Sikkimese friends just cannot stop telling me how amazing this place is. Nestled among the mountains, this lake is as isolated and pristine as it can get. The crystal blue waters surrounded by barren land reflect the snow-capped mountains. You can see colorful prayer flags strung to the rocks. This is a place where you can pause and appreciate nature at its best. This valley has breathtaking views of the Himalayas, tiny hamlets, sparkling streams and fruit orchards. If you come here in June, you will be lucky to witness the Saga Dawa Festival, the most sacred festival for Buddhists. During spring, this entire place has Primulae, Rhododendrons and many other Alpine flowers in full bloom. During winter, this place wears a more somber and a rugged look. 30 km away from Lachung is Yumthang Valley famous for the Zero Point. This point is 15,300 ft in altitude and the stretch of road that brings you all the way here abruptly stops. That is why this place is called Zero Point. You will find a few army personnel here as the Chinese border is a just a few kilometers away from here. 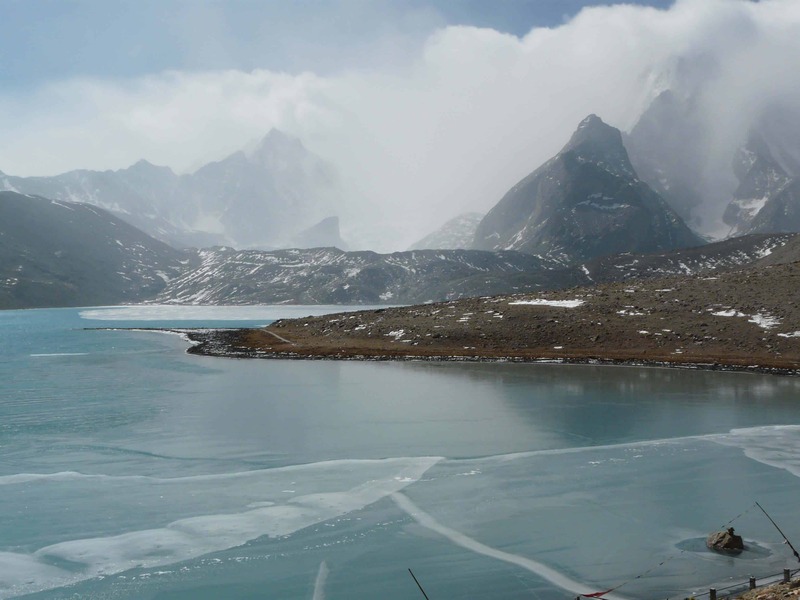 This is one among the high altitude lakes in Sikkim fed by the nearby Zemu Glacier. This glacier is 26 km long located at the base of Kangchenjunga. There are many adventurous treks you can embark on around this glacier. This is the best way to enjoy the terrain at its fullest in the laps of the Himalayas. 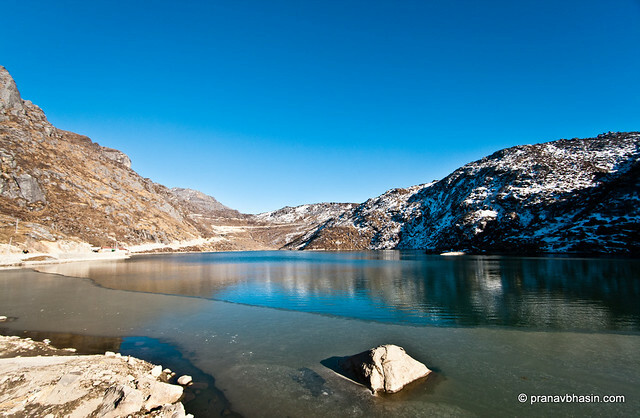 You can have 12 days to afford then the Green Lake trek will make for a perfect Sikkim holiday. This UNESCO World Heritage Site is a unique diversity of plains, valleys, lakes, glaciers and spectacular, snow-capped mountains covered with ancient forests. 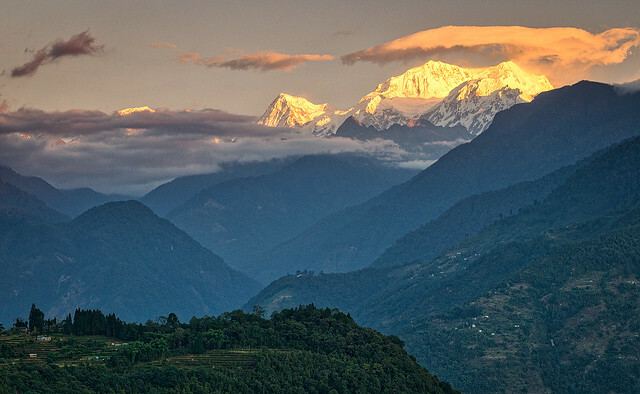 This great site has the world’s third highest peak, Mount Khangchendzonga. The best way to experience the spectacular sights of this mountain is by going on a trek on the Goecha La pass. This would be a moderate to difficult trek with rewarding views of many summits in the Himalayas like Mt. Pandim. You will need 11 days to finish the Goecha La trek organized by Ultimate Frontier Outlands. This lake is just 40 km outside Gangtok. It stays frozen all throughout winter. During the rest of the year, the water in the lake reflects different colors. This lake is considered very auspicious by the locals here. See if you can take a yak safari around this place. It is as exciting as a camel ride on the sand dunes of a desert. This mountain pass in Eastern Sikkim close to the Indo-China border. On the way, you will come across Dzuluk, which is a hamlet at a height of 10,000 ft. Dzuluk is an offbeat but upcoming destination. You can see winding roads beneath the village on the edge of the mountains that take you to Nathu La. The best part about travel in northeast India is the flora and fauna that you get to see while you trek. You can go for a one day tour with guides in this part of Sikkim with Yak & Yeti Travels & Expeditions. 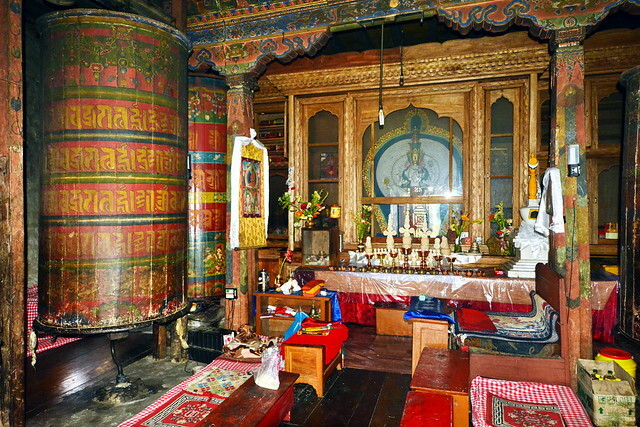 One of the most sacred and holiest of all monasteries in Sikkim. Situated 100 km from Gangtok, this monastery is famous for the Bhumchu festival. There is a large statue of the local deity called Guru Padmasambhava on top of the Samdruptse hill in the beautiful Namchi valley. You can also visit the Samdruptse Monastery at a walking distance from the shrine. People in northeast India love their ancient culture and tradition. This is evident in the traditional dance, music, and food which flourishes here during the festivals they celebrate. Check out detailed guide shared by Sikkim Tourism about all the festivals and plan your visit accordingly. There is no much cellphone coverage in Sikkim. 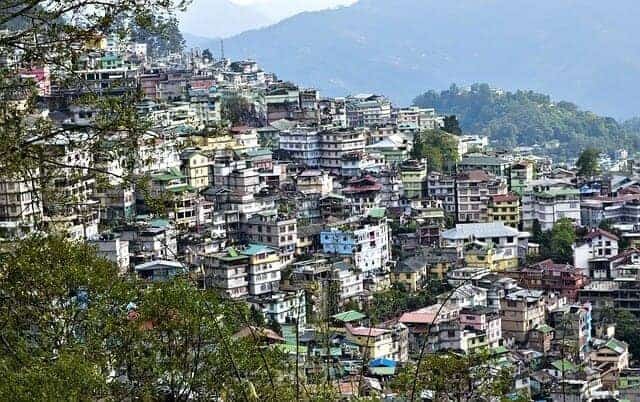 Gangtok being the capital has good connectivity. But the rest of the state is mostly mountainous and hence having a continuous network coverage is not possible. Keep your family and friends informed well in advance since keeping in touch throughout your holiday might not be easy. We hope this guide helped you in getting a fair picture of what places to visit in Sikkim Read our Part 2 and Part 3 of why you should visit the northeast of India.